We do love our Paul Newman. 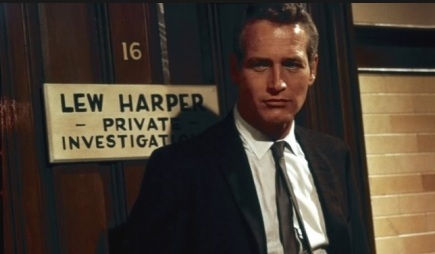 And Newman is Harper. 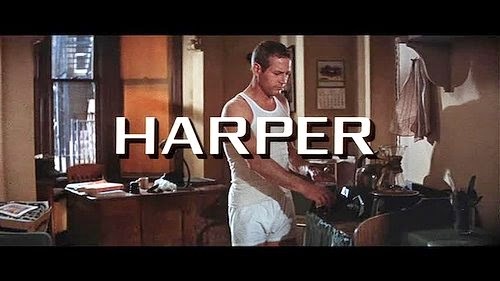 And Harper is actually Lew Archer, the character created by Ross Macdonald in a series of books about the cynical, world weary, blue-eyed California based detective. 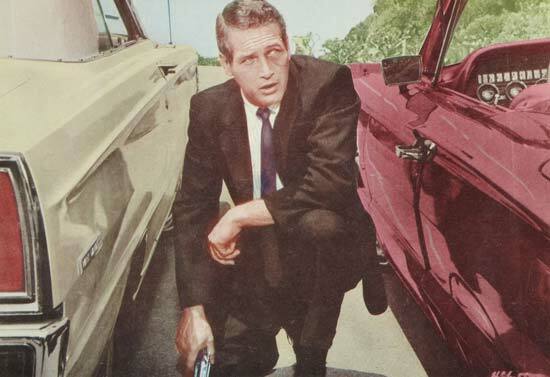 Robert Osborne, the TCM host, has said the name change came about because Newman had successes with Hud and The Hustler so he wanted the name to start with an H. Hmmmm. Really? Archer, Harper, whoever. 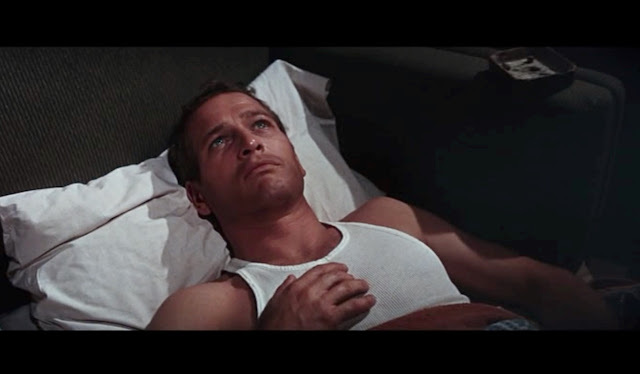 The detective was originally going to be played to that other blue-eyed icon, Frank Sinatra. Crazy, huh? 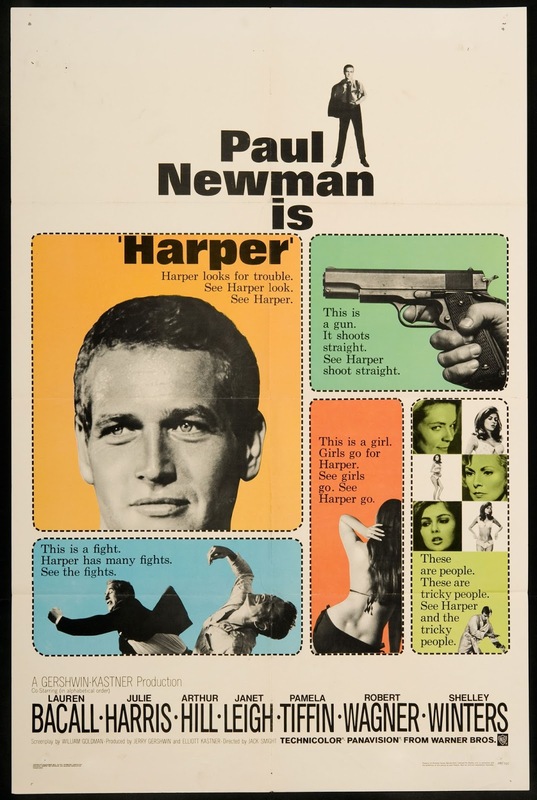 Harper, something of an homage to the Humphrey Bogart private eye films of the 1940’s, also starred Lauren Bacall as a wheelchair confined woman who hires Harper to find her missing husband. 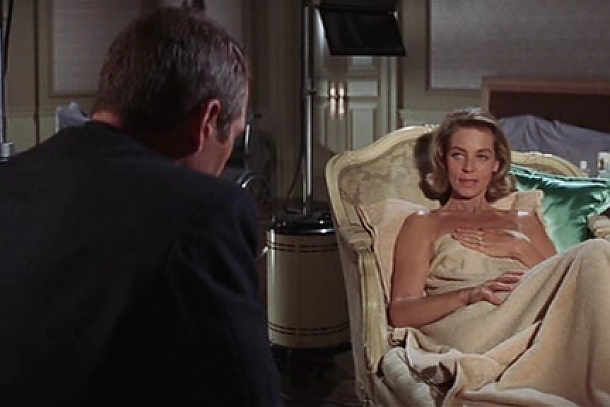 Bacall had starred with Bogie in The Big Sleep, one of the iconic examples of the genre, and in which the client had also been confined to a wheel chair. She doesn’t exactly look like an invalid, does she? Julie Harris, Janet Leigh, Pamela Tiffin, Robert Wagner, Shelley Winters, Arthur Hill, Strother Martin and Robert Webber round out the very 1960’s cast. If Paul Newman isn’t enough to get you to watch Harper—it’s enough for me—may I remind you the film was one of the earliest scripts written by the legendary William Goldman. That’s not Hollywood hyperbole, in addition to The Princess Bride based on his own book (Goldman was a novelist before he was a screenwriter) William Goldman wrote the screenplays for Butch Cassidy and the Sundance Kid, The Stepford Wives, The Great Waldo Pepper, All the Presidents Men, A Bridge Too Far, Misery and Marathon Man, also based on his novel. And many more. Respect. Goldman is also known for his highly-regarded Adventures in the Screen Trade, one of those must-reads for aspiring screenwriters. Enough about Goldman. 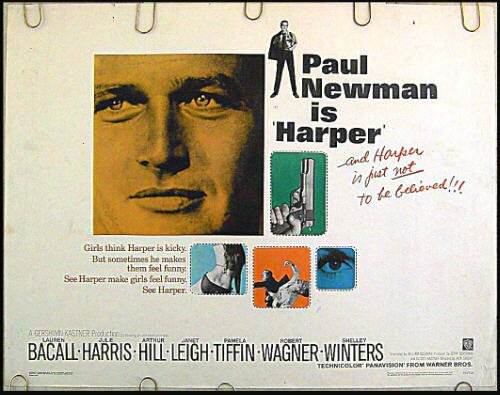 Harper, the man and the movie are definitely relics from another time. Watch the trailer. Girls go for Harper. Harper goes for girls. Yep, that’s how we used to roll back in the Paleozoic era, men were neanderthals and we ladies brought our own clubs. 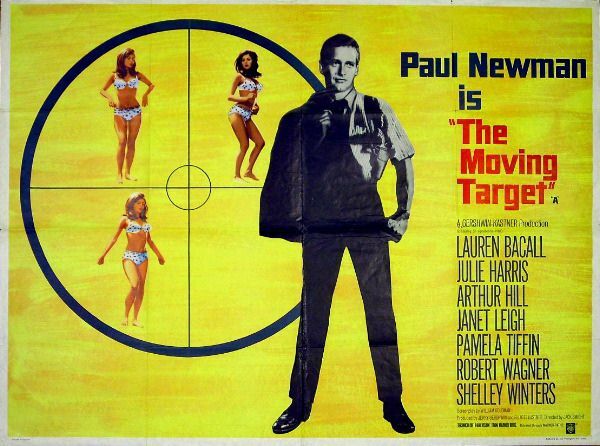 Stream Harper (The Moving Target in the UK) our Saturday Matinee, for a few bucks on Amazon, YouTube and GooglePlay. 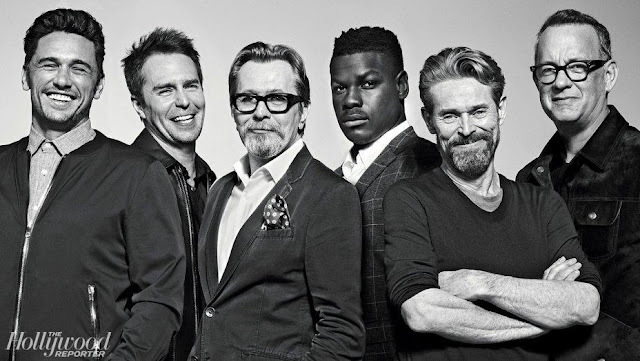 It’s on disc at Netflix but by the time you get it, it won’t be Saturday anymore will it? Speaking of the Paleozoic era! So, how about it? 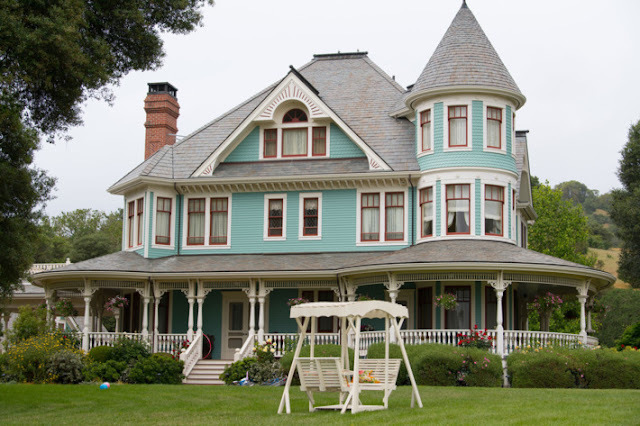 Do you go for Harper?